Over the past few months I have really been into making my own salt scrubs to use in the bath. You can buy these from stores, but you never know exactly what is in it, how much, and it can cost a pretty penny. 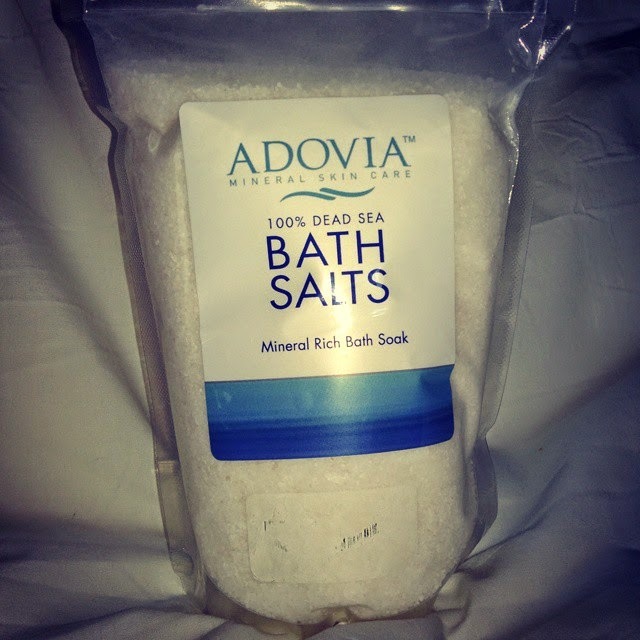 I have been using the Adovia Dead Sea Salt to make my very own salt scrub, and I honestly will never spend the money on a store bought scrub again. 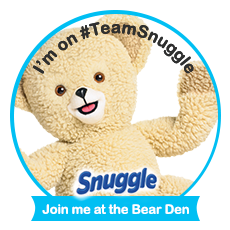 I mix my salt with essential oils, and carrier oils for the perfect mix of exfoliation, moisturizing, and fragrance. This salt is perfect size to use as a body scrub, it's not too large like many scrubs, yet its not too fine. It's the perfect happy medium. I like to make up a fresh batch once a week, so it is fantastic that this salt comes in a resealable pouch.There is also enough product to last me for quite a while. So now onto the big question, the benefits from using this dead sea salt. I have found that my skin feels naturally clean after using. Any dry, flaky patches are removed gently, and with steady use (about 3 times a week) those dry patches are going away. Right now where I live it is currently the dead of winter, and my skin has been freaking out. There were 3 dry flaky patches on one of my knees that was driving me nuts. I have been using the scrub that I make using this salt on it for 2 weeks or so, and the patches have completely gone away. I am a solid fan of this product, so much that I plan to use this salt to make up batches of my salt scrub and give it away as gifts. I know my friends and family who like products like that will love my homemade salt scrub! This without a doubt gets 5 stars from me.